Naturally, Danny Seo, is the lead interview in this week’s edition of Mr. Magazine™ Monday Morning. 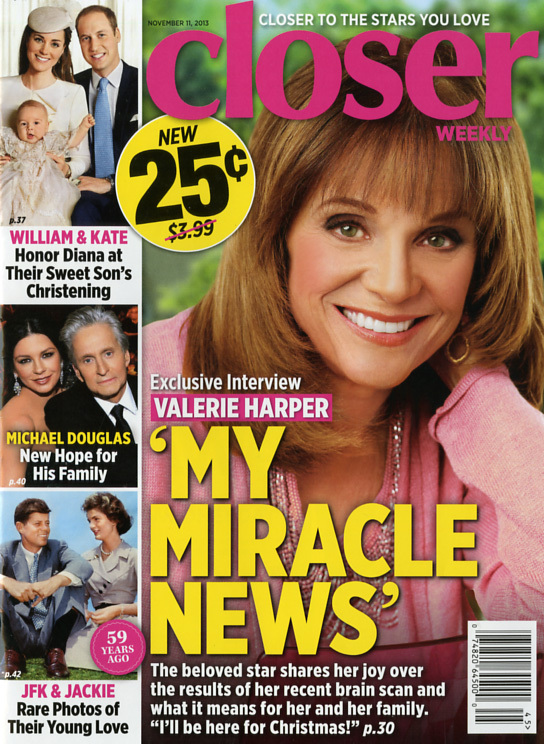 This week’s issue is a double issue for the weeks of Nov. 24 and Dec. 1. Click here to read the issue and click here to subscribe to the free weekly newsletter. From the entire team at Mr. Magazine™ we wish each and everyone of our readers a very happy and healthy Thanksgiving. Also we are truly thankful for the support of our sponsors at the Mr. Magazine™ web and blog sites and, of course, the Mr. Magazine™ Monday Morning. Without your support there would have not been a Monday Morning newsletter. All the best and a very Happy Thanksgiving. 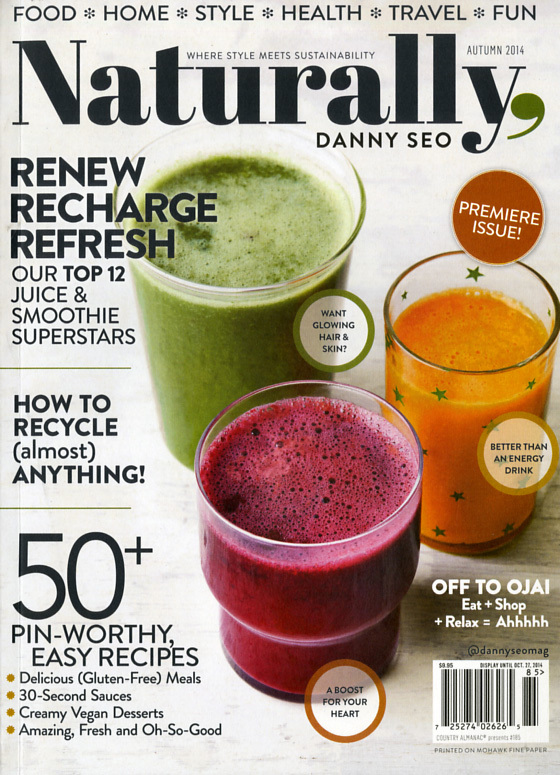 Naturally, Danny Seo: The Man,The Magazine, The Movement. The Mr. Magazine™ Interview With Danny Seo. Living “Simply Green” is something that Danny Seo has been doing and promoting for years. 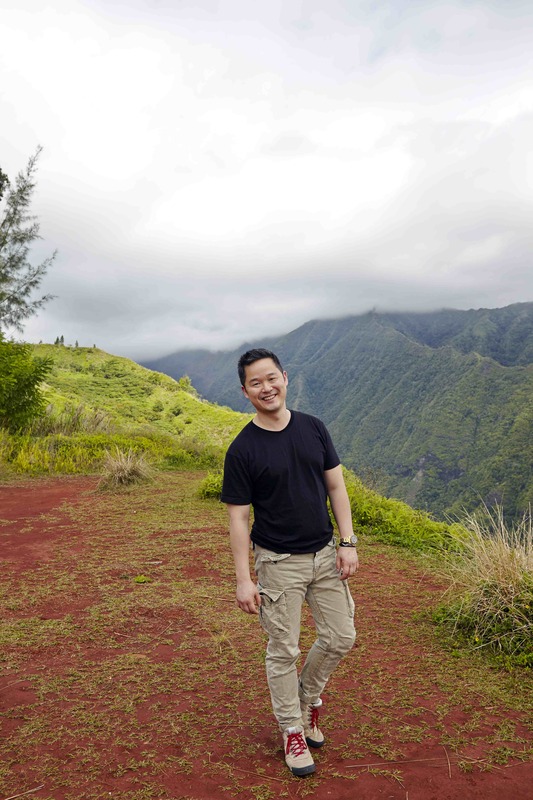 Through his books, television programs, magazine columns, and his how-to lifestyle lectures, Danny Seo has shared his creative ideas on modern, eco-friendly living to millions of people. And now he has another platform for his environmental practices and beliefs that is as beautiful as it is sustainable. 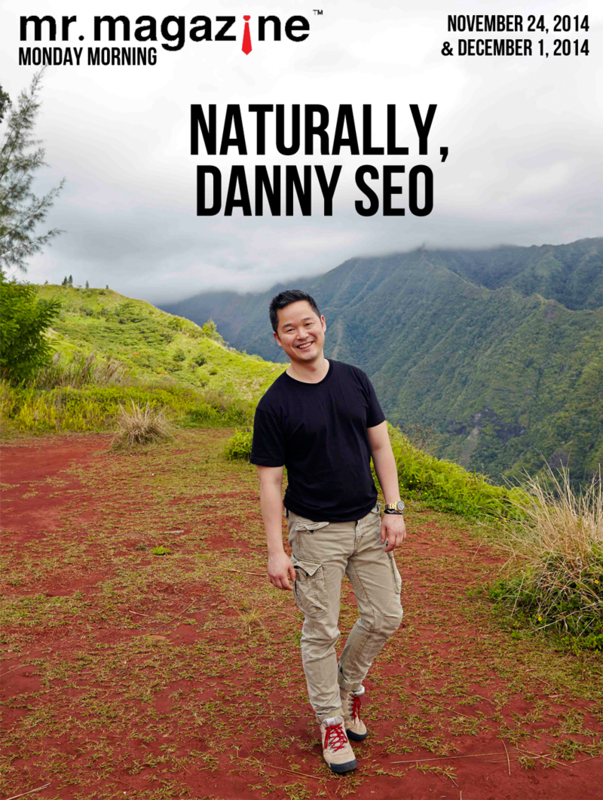 Naturally, Danny Seo is the latest offering from a man who has been described as an eco-friendly lifestyle expert. And looking at and touching his newborn brainchild certainly backs up the description. The magazine is harmonious and balanced, beautiful and filled with creative and innovative ways a person can help sustain our planet in many different ways. 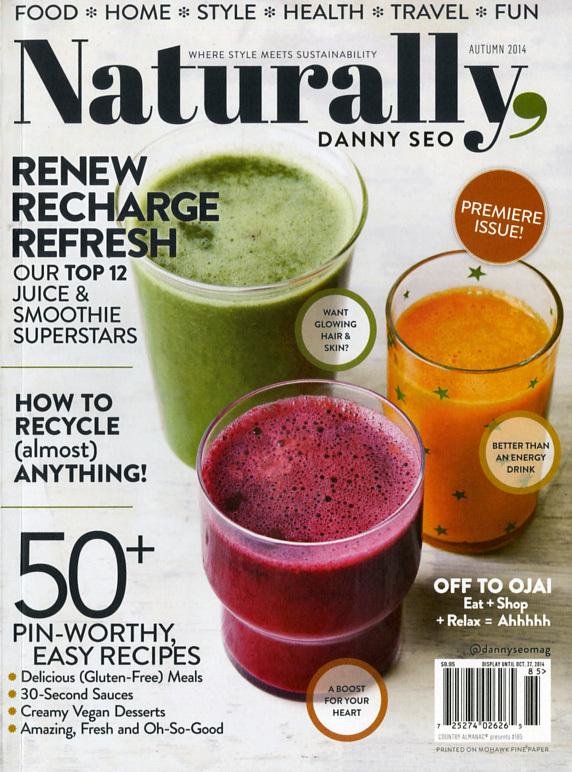 From food, home, style, health, travel and just plain fun, Danny embraces a health-conscious attitude about life in general, instead of producing a magazine that promises you to lose 5 pounds in 5 days. But don’t look for his face on the cover. Ever. In fact, it’s in his contract. Instead, look for sustainable topics done in an oh-so stylish way. And the paper the magazine is printed on feels amazing. On why he chose a printed magazine as a platform: Well, you would think being an environmentalist, doing a digital magazine would be something that I’d be interested in because there’s no trees involved, no waste; it’s as eco-friendly as possible. But when you think about digital magazines, the reality is anybody can do a digital magazine. On whether, as an environmentalist, he thinks print adds or takes away from the environment: I think what it is, there’s a lot of things in our lives right now that are just cheap and of bad quality. On a stumbling block he had to face during this journey: I think it’s what we’ve noticed in Issues 1 and 2: we need to find more women to profile in the magazine. On where his mind is at when he decides on the covers of the magazine: The number one promise we try to make is nothing sensational, no false promises; five pounds in five days, forget it, that’s not going to happen. On his most pleasant surprise since starting the magazine: It’s probably going to sound cheesy, but I was at Whole Foods when the magazine hit newsstands and I was buying a sandwich for lunch, this was in New York. And a woman picked up the magazine and began reading it and I could see her stop at a page, like she was having an “aha” moment and I could almost hear her thinking: I’ve never thought of this, what a great idea. And she put it in her cart to buy it. On whether he’ll ever be featured on the cover: No, in fact, that’s in my contract. I will never be on the cover. On some of his favorite magazines: I really love so many magazines. My all-time favorite magazine and it’s almost impossible to find in the United States is Jaime. It’s a brilliant magazine. On what keeps him up at night: Nothing, I sleep very well. Samir Husni: Congratulations on being named one of the hottest new launches for 2014. We had almost 800 new magazines, with over 200 published on a regular frequency. Samir Husni: My first question to you is: why did you feel the need for a printed magazine? 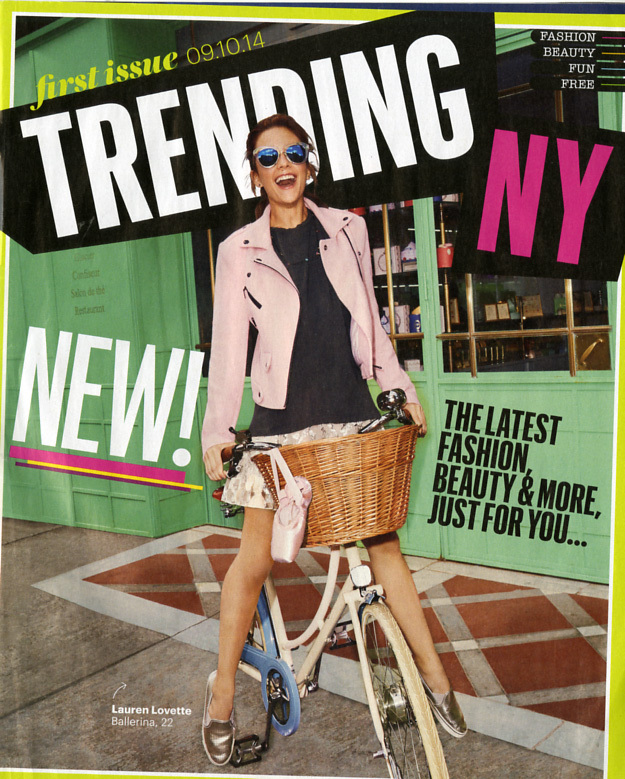 Your own personal brand is everywhere, so why the printed magazine? Danny Seo: Well, you would think being an environmentalist, doing a digital magazine would be something that I’d be interested in because there’s no trees involved, no waste; it’s as eco-friendly as possible. But when you think about digital magazines, the reality is anybody can do a digital magazine. And I’m talking about my parents could do one, my neighbor; it’s almost like there’s absolutely no betting process about the quality of the product. If you have $20, you can buy a program and create something that people can flip through. 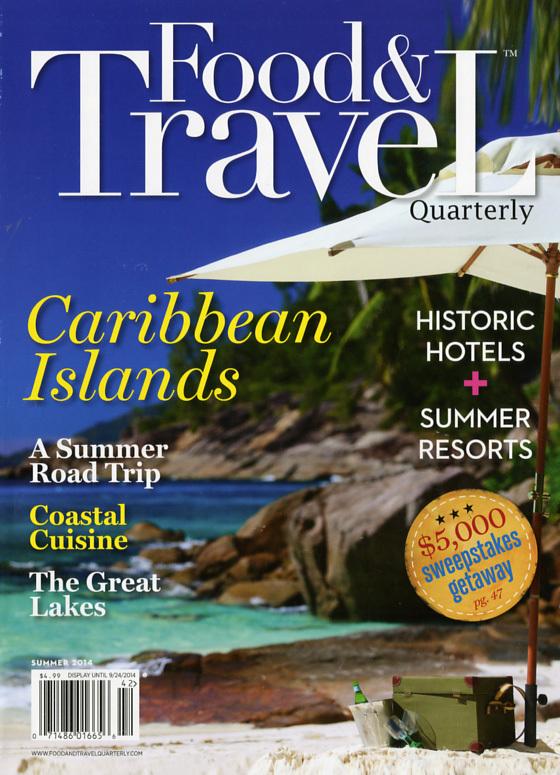 But the reality is, to actually create a beautiful, curated, well-edited printed magazine; it’s not an easy process. And when we really looked at the space and thought about who our reader and customer was and what she’s really interested in right then, which is having some me-time, we felt the reader was looking for a publication where she could actually turn off her phone or the TV and have an appointed reading time with a tangible product that she can hold in her hands and go through page by page. When I’m in my office in New York, I actually answer my phone when it rings and women call me and are literally in tears as they tell me what a long time it’s been since they’ve read a magazine that didn’t talk down to them. And that this is the first magazine that’s not only incredibly inspirational, positive and fun, but it’s also beautiful to feel and look at. And that’s the number one reason we did this; there’s just a lack of respect in the printed space for this audience right now. Samir Husni: When you talk about the environment; do you think that the printed word takes away from the environment or adds to it? You mentioned the trees; what do you think causes more environmental damage, all the computers, phones and devices that we trade in or get rid of every six months, or the paper we use to print magazines? Danny Seo: I think what it is, there’s a lot of things in our lives right now that are just cheap and of bad quality. And you look at a lot of things in different categories: fast fashion, which is in retail where you buy clothes and after a couple of wears, you just throw it away; we would never think that in the 80s. (Laughs) No one bought clothes that way. I’ve been a magazine editor at a number of titles and what I saw on the business side happening time and time again was people would say, “Oh, paper. It’s very expensive. We’re going to have to lower the paper quality.” And paper just got cheaper and cheaper and thinner and thinner and the overall product began to feel disposable. And on the editorial side, I would hear things like, “We don’t have the budget to actually do original stories. So, we’re going to go into the archives and we’re going to reprint a story that ran in another magazine six months ago and no one will be able to tell the difference.” And to me, as a reader, I would think that kind of thing was really disrespectful, as someone who bought magazines. They still expected the reader to pay the same price for the magazine and the paper was so thin, I didn’t even like feeling it and I could see right through it. It was completely inferior in quality and I looked at the stories and things and they appeared more like stock photos and things that I’ve read and seen in the past. If you just improve the quality of the paper and do all original stories, photograph everything without using any stock images, do original reporting, recipe development and actually go out and find untold stories and then you give everyone at least 8 pages to fully tell those stories; you really can still find an audience who’s willing to pay for that quality product. Samir Husni: Issue 2 is on the newsstands now. In the time between Issues 1 and 2, what has been the major stumbling block that you’ve had to face and how did you overcome it? We shot a beautiful story that’s going to be in the next issue and on day nine of a ten-day shoot, I was going to the raw images and I looked at the photographer and said, “Have you shot one woman on this trip?” (Laughs) I think we’re a women’s magazine and sometimes as a male editor-in-chief, I need to remind myself that our readers are mainly women, at home or working, with children or maybe thinking about starting a family. So, I have to constantly tell myself: think like your reader, not like yourself. Samir Husni: When I was reading your editorial, you mentioned that you would never do a story about losing 5 pounds in 5 days, or some fad diet. But rather, I see your cover lines and they read: eat bread, pasta and chocolate. I can think of one other magazine that uses a similar approach and that’s Real Simple magazine, you’ll never find a diet or a celebrity on the cover. What’s your thinking behind the cover of your magazine? Danny Seo: The number one promise we try to make is nothing sensational, no false promises; five pounds in five days, forget it, that’s not going to happen. We’re trying to be a place that’s very realistic, but also again it’s very timeless. And what we’re trying to create is a product that people actually want to save and archive and build as a collection. And so there are very, very few magazines that are presented in a really timeless fashion. For me one of the inspirations was the very early editions of Martha Stewart Living. Those stories could be run in 2001 or they could be run today. I think the biggest example of where we’re going, and we’re already at Issue 2; a lot of the stories that we’ve created in the first two issues we’re now partnering with One Kings Lane, it’s an online site that’s all luxury home products. We’re going to be doing a fine arts sale of the images from the magazine where people can actually buy them framed as original prints and put them in their home, because that’s been the number one request from readers is how do we buy these beautiful images. It’s very few magazines that could actually sell images from today, from a story that’s been done recently. Samir Husni: And what has been your most pleasant moment since you started the magazine? 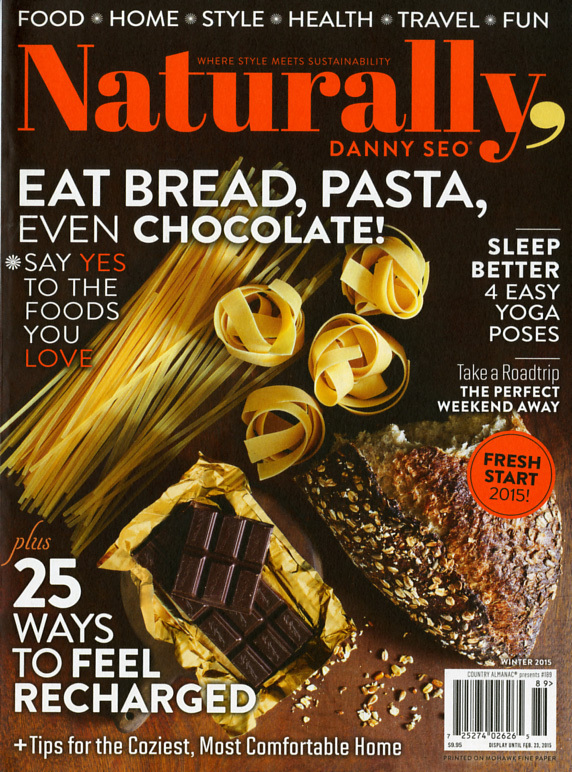 Danny Seo: It’s probably going to sound cheesy, but I was at Whole Foods when the magazine hit newsstands and I was buying a sandwich for lunch, this was in New York. And the day it launched, I was thinking that I didn’t know how it was going to sell or how people were going to respond to it; I felt like I was under the gun. I didn’t know what to do. That day I saw a woman standing in line and all the magazines were lined up at the check-outs and I saw our magazine among them. She picked it up and standing there in line, she began to read it. Eventually, she put it back on the stand and went to pay for her things and I remember thinking, we’re not a library, buy the magazine. (Laughs) But then the next person behind her picked it up and began reading it and I could see her stop at a page, like she was having an “aha” moment and I could almost hear her thinking: I’ve never thought of this, what a great idea. And she put it in her cart to buy it. Samir Husni: (Laughs too) That’s a great story. Danny, I’ve read references that have been made about you, such as you’re the green Martha Stewart. But you’re not on the cover. Danny Seo: Oh, yeah, I’m not. Samir Husni: Are we ever going to see a Danny Seo cover one day? 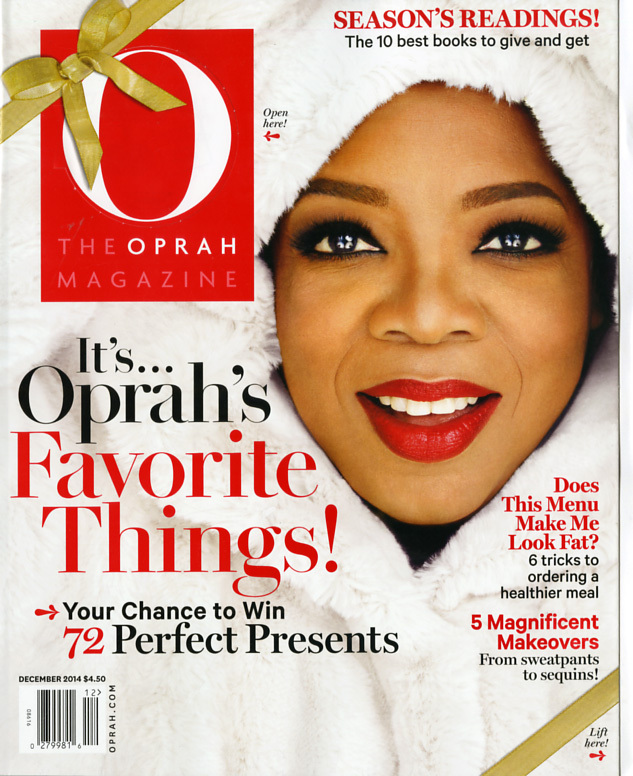 This magazine is not a vehicle for me or to push me; it’s not an ego-driven project. It’s a magazine where also I don’t promote my products on the pages. People are investing $10, which is three times the normal price for a magazine, they deserve a better product. And I’m not going to advertise to my reader things that are only in my lifestyle. I have a very strong philosophy about how to live, how to eat and travel, about beauty and home and that philosophy is what I want to present. I think once you lose that trust or that bond about why you’re doing something like this, you lose the reader forever. That’s my commitment from myself to the readers. It’s about them and there is no other motive when it comes to the things we recommend or talk about. Samir Husni: Any plans to increase the frequency from quarterly? Danny Seo: In 2016 we’re going to six issues. We actually needed to increase the issues for Issue 2, but we couldn’t get more of the paper that we use. Samir Husni: I know you’re a very busy man, but when you unwind or get your “me-time” and forget Naturally for a second, what magazine do you like to spend time with? Danny Seo: I really love so many magazines. My all-time favorite magazine and it’s almost impossible to find in the United States is Jaime. It’s a brilliant magazine. We just came back from Ireland where we did a photo shoot and I actually went into a bookstore and bought back issues of the magazine. It was another inspiration for me in doing our magazine. I think Donna Hay is another beautiful publication; it also has that archival feel to it. Up in Canada, they do some great titles. In the United States the titles that I really love is Real Simple, it’s one of the benchmarks that we look at and for news, I think New York Magazine is great and some of the supplement titles from the newspapers, like WSJ are fantastic too. Interactive Print Magazines: Open Here, Smell There and Other Print Goodies. 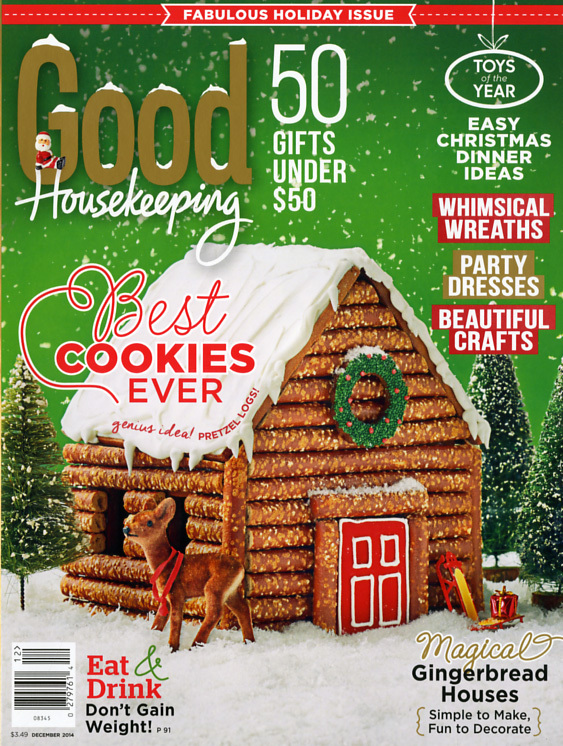 It must be the holidays and magazines are celebrating with new creative tricks and lots and lots of red covers. Four magazines, all from Hearst Magazines, grabbed my attention for their creativity and interactivity of their covers. 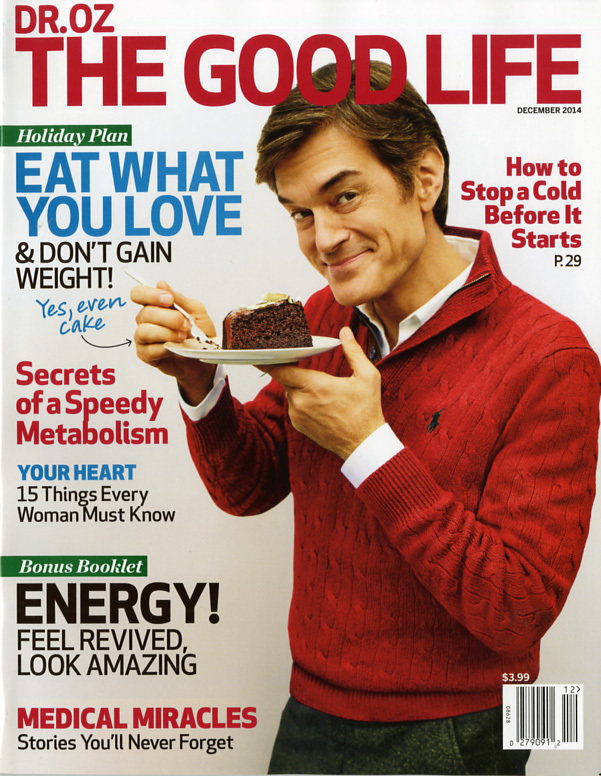 As for Dr. Oz The Good Life and Good Housekeeping magazines, each of the two titles sports two different covers to choose from. Take a look and let me know which one do you like best. That’s how we, the GQ team, view it. As for you lot, I’m hoping it’s still not just a magazine. Rather an experience — a roller-coaster ride that’ll whisk you through the full gamut of human emotions. And I’m not being over-dramatic. Take a look at what’s in store over the next 200-odd pages. Hands inside the vehicle, folks. David goes on to list seven different emotions that can be found inside the printed issue: Surprise, Sorrow, Envy, Curiosity, Inspiration, Despair and Relief. As for Mr. David, and in typical Down Under manner, I am proud to say, you sir are not a journalist, you are an experience maker. In the already crowded market of men’s interest magazines; what do you do to stand out and capture your audience’s attention? Put an Italian spin on it, of course. Uomo Moderno is everything fashionable and stylish, from an Italian perspective. It’s sleek, modern and absolutely beautiful to look at. 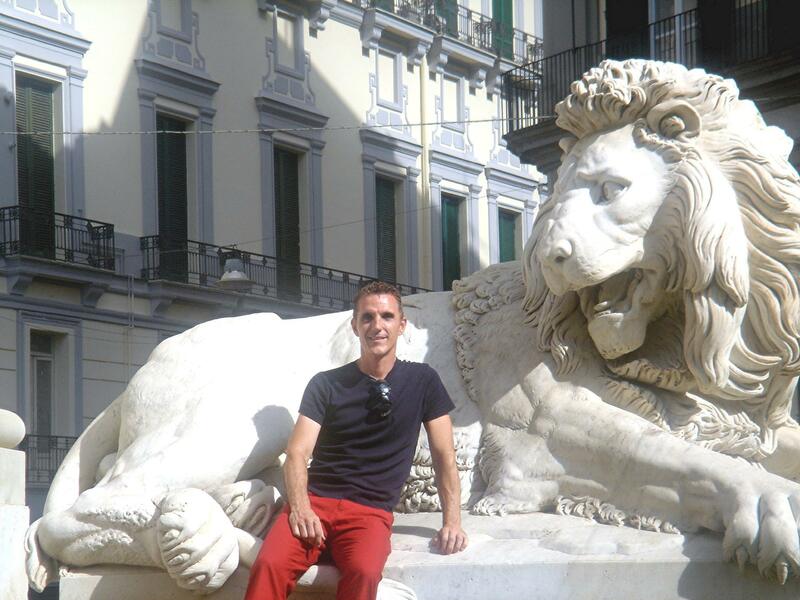 Francesco Di Maio is the publisher of the magazine and I reached out to him recently when I selected Uomo Moderno as one of the 30 Hottest New Launches of the year. We talked about the possible insanity of what he’d done by launching another men’s interest magazine and his motivation for doing it anyway. Francesco was gracious, honest and very passionate about his subject matter and his ink on paper product. Recognizing the collectability and ownership of print, he felt putting his magazine out there on paper in all its brilliance was the right path for him. And I would definitely have to agree with him. On whether he was crazy to launch a men’s interest magazine in this day and age: I could be. (Laughs) People have called me crazy in the past. But, I look around me and I see people are still reading magazines and are interested in them and I think one of the most engaging things is that people are really interested in niche magazines. On the DNA of Uomo Moderno: I was very inspired by the year 2013, which was declared by the Italian government the year of Italian culture in the United States. 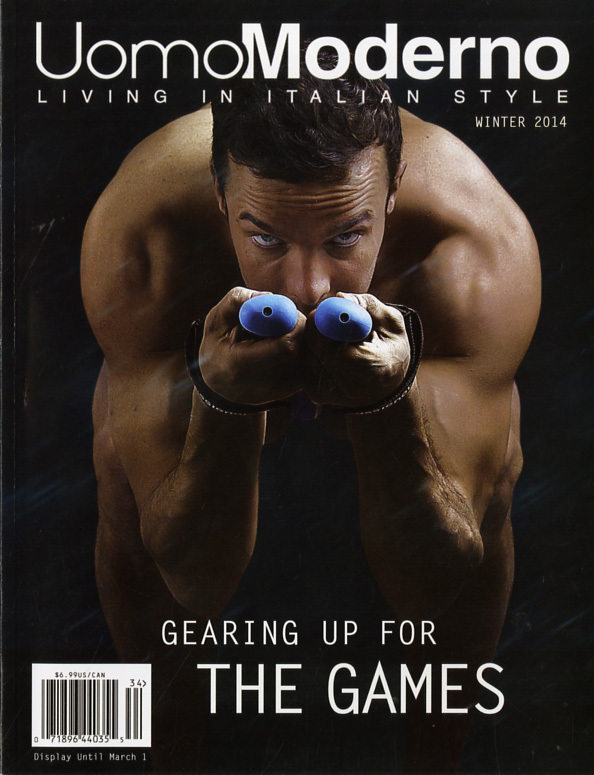 The magazine is what I see as a showcase of what it means to live in Italian style. On the biggest stumbling block he’s faced: In my opinion, it’s a common stumbling block or challenge that any new magazine is going to face, trying to get partners (advertisers) onboard. But it’s happening little by little. On his most pleasant surprise: The amount of high-profile people who are discovering the magazine and who want to be in it, both in Italy and America. I’m so excited about that. On whether he expected to come as far as he has in such a short time since the magazine’s launch: No, not whatsoever. I never dreamed on being down the road this far in just over a year. On why he decided on an ink on paper product: I went for ink on paper because I believe that my magazine is a collector’s item. On whether we will ever see an Italian edition: They (Italians) read the English digital version and look at the pictures, so I think one day it may very well be, especially if I see that there is a definite interest. On what keeps him up at night: Sometimes good things, sometimes bad things. (Laughs) There are times where I’m up at night thinking about the future, the possibilities of exciting articles. 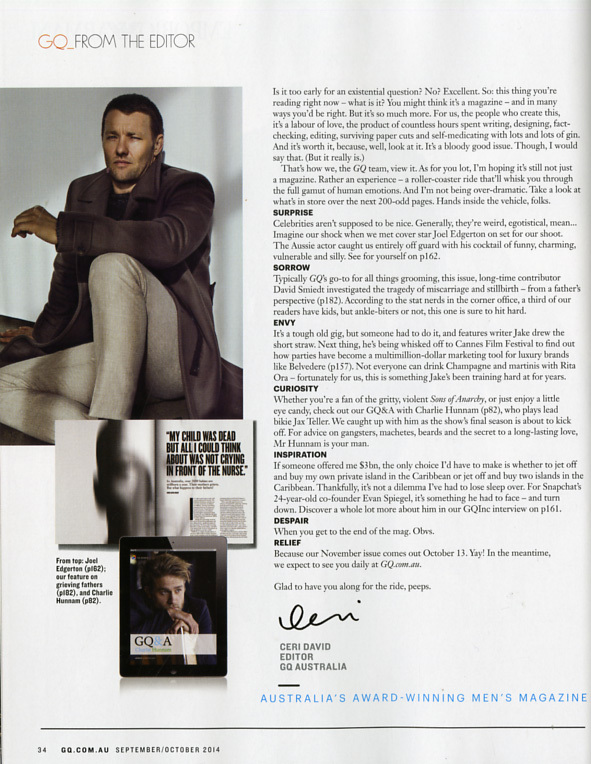 Samir Husni: First of all, congratulations on Uomo Moderno being selected as one of the hottest magazine launches of 2014. Francesco Di Maio: Thank you very much and I am very excited about being chosen as one of your hottest new launches of the year. Samir Husni: My first question to you is: do you think you’re out of your mind to launch a men’s fashion magazine based on the Italian lifestyle in this day and age? Francesco Di Maio: I could be. (Laughs) People have called me crazy in the past. But if you look at the magazine market you can see several things happening. It’s my understanding of the industry, and I’ve been in publications, not continuously, but for the most part, the last 20 years, and what I see is there have been radical, almost revolutionary changes in the way people consume information. First, with the rise of the Internet and personal websites and second, all the social media; we see that information is being consumed in different ways through postings and pictures and of course, that has upset the entire print market, not just for magazines, but for newspapers and also for books. But at the same time, I look around me and I see people are still reading magazines and are interested in them and I think one of the most engaging things is that people are really interested in niche magazines. They’re looking to find information according to specific topics or specific categories. So with all of this upset in the magazine market, we also see a growth of specific niche magazines and some are actually selling better now than they have in the past. I think it is probably crazy and a person would have to be a little out of their mind to launch a new magazine in this market, but at the same time I think if someone is able to create a magazine according to what people want and what they’re looking for, then possibly it’s not as crazy as it seems. Samir Husni: Can you tell me a little about the DNA of Uomo Moderno and what you’re trying to accomplish with it? Francesco Di Maio: I was very inspired by the year 2013, which was declared by the Italian government the year of Italian culture in the United States. And we see that within the U.S. there is a lot of interest in Italy and a lot of people don’t understand modern-day Italy. And even people who say that they are from Italian descent, second-third-or fourth generation, they claim their Italian heritage, yet they don’t really understand anything about their ancestors’ country yesterday or today. They just know that someone in their family emigrated here from Italy. But they have a great love and passion for their heritage. These facts were part of my motivation, but also another catalyst for the magazine was that Italy has gone through a very serious economic crisis. Our country is one of the strongest countries in design, fashion and creativity, but is on the verge of collapse. So I took all of these factors into consideration and I thought it would be great to showcase Italian fashion, style, design, décor and architecture, just everything about living in Italian style in modern-day Italy, to show the world who we are despite the economic troubles that we’re having. 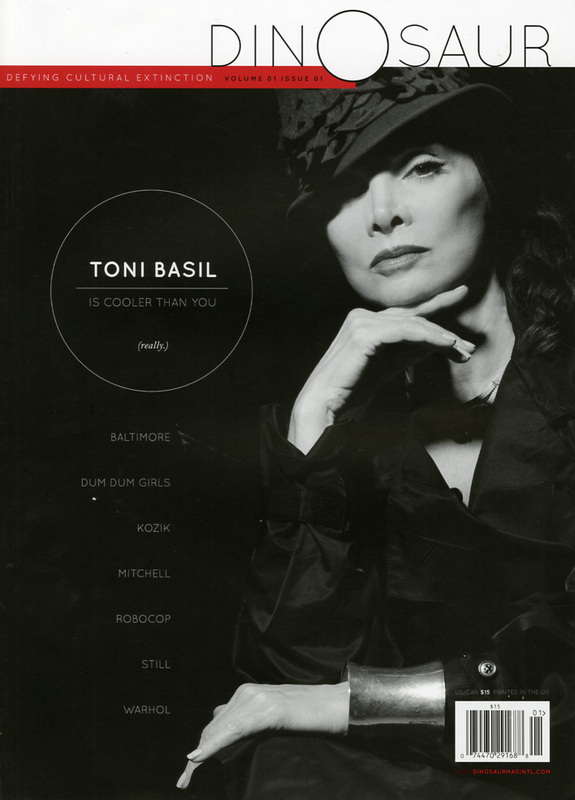 The magazine is what I see as a showcase of what it means to live in Italian style. I called it Uomo Moderno, which in Italian means Modern Man. And it doesn’t have to be a man in the sense of a male “man,” it can be female. Although its focus is on the male man because I’m a man and I write from a male perspective. And I deal with a lot of topics that interest men. But I am bringing more and more topics that would interest females into the magazine, because in the United States much of my readership is female. Basically, if I had to say it in a nutshell, the magazine is a showcase of living in Italian style and I try and make it a lifestyle and fashion magazine, which presents young and emerging entrepreneurs and designers of Italy to the United States. And not only entrepreneurs, but musicians, actors and people from all walks of life. Samir Husni: What was the biggest stumbling block that you had to overcome when it came to launching the magazine? Francesco Di Maio: I think the biggest stumbling block would be what everyone would face, because when it comes down to the content or the graphic design, the layout and creativity, there is no problem. There is so much content because we’re dealing with a country that is abundant in style, fashion and creativity. When you think about the actual magazine itself; I think one of the biggest stumbling blocks is not even distribution because people want the magazine; the biggest stumbling block is getting the sponsors and advertisers onboard, because the magazine is new and of course people have to see the value of the magazine and they have to want to be in the magazine. In my opinion, it’s a common stumbling block or challenge that any new magazine is going to face, trying to get partners onboard. But it’s happening little by little. People are seeing and loving the magazine and they’re calling to discuss it, in terms of advertising and investments. It’s a challenge that just takes time even with a quality product. Samir Husni: And what was the most pleasant surprise? Francesco Di Maio: The amount of high-profile people who are discovering the magazine and who want to be in it, both in Italy and America. I’m so excited about that. We did New York Fashion Week and we had Jason Pierre-Paul of the New York Giants walk in our fashion show. And during Philadelphia Fashion Week, we had Brandon Boykin of the Philadelphia Eagles. What happened was having them walk in the fashion show, we were on national television two times this week, first on CBS Game Changers and then on NFL Rush Zone – Nicktoons, Nickelodeon. For me, it was just so exciting because I didn’t expect that within a year and a half of the magazine’s existence, this would happen. I got to meet these great celebrities and it was just so exciting. These are some of the joyful moments of publishing a magazine. Samir Husni: When you launched the magazine, did you ever expect that in just over a year you would be at the point you are at now? Francesco Di Maio: No, not whatsoever. (Laughs) I launched the magazine with the intention of being digital only and we did a few trial runs. Then when I heard the reaction of so many people in various industries tell me how beautiful the magazine was and how much they loved it and how easy it was to read and digest the information; I knew I was on to something. But I never dreamed on being down the road this far in just over a year. And I never dreamed of being on television, for sure. (Laughs) It’s just very exciting. Samir Husni: Why, after doing the testing on digital, did you decide to go with ink on paper? Francesco Di Maio: I went for ink on paper because I believe that my magazine is a collector’s item. I believe that the quality of the magazine, both in terms of the physical paper and print and the content, is something that people would want to save and interestingly, I have a lot of people tell me: Francesco, I keep your magazine on my piano or my coffee table and people come to my home and they really admire it. So I feel it’s something that people needed, not digitally, but in their hands, something that they needed to hold on to, something physical and tangible. That’s what motivated me to do it in print and that has been the result so far, people have been pleased. Samir Husni: Will we ever see an Italian edition of the magazine? Francesco Di Maio: It’s funny you ask that because I have a very big readership in Italy on the website and Facebook and many Italians are following the magazine, but I don’t know the percentage of Italians that read English. Uomo Moderno magazine is a magazine for foreigners written in English so that they can understand about living in Italian style, but I’m noticing that a lot of Italians are reading the magazine because they don’t know about all of these emerging designers we’re writing about. Francesco Di Maio: Yes, for the moment. (Laughs) They read the English digital version and look at the pictures, so I think one day it may very well be, especially if I see that there is a definite interest. Yes, I would love to have an Italian version. I’ve been looking into a Chinese version, because I know that in China there is an extremely high interest in Italian fashion and design. Just as I know that in the Middle East or North Africa, there are many followers who really love Italian design. But with English as kind of a global language, people are able to read it. So these are things I will need to figure out in the future. Francesco Di Maio: The only thing I’d like to add is I’m really extremely excited about the people who are my partners. They’ve been a great support. Also, I’d like to say that it’s a great pleasure to be able to present and showcase Italy and all of its fashion, the good and the bad. And to be nominated as one of the 30 Hottest New Launches in the U.S. is a great honor and I did not expect it. I am so thankful to be recognized, to start out as no one and then to have the hard work noticed. It’s such an honor. Francesco Di Maio: Sometimes good things, sometimes bad things. (Laughs) There are times where I’m up at night thinking about the future, the possibilities of exciting articles. Sometimes those things keep me up at night. Or I’ll be really excited about an edition that we’re doing. And occasionally, I’m up at night worrying about all of the challenges that we’re facing. Those things keep me up. Newsweek: A Phoenix Rising From the Ashes. A Mr. Magazine™ Monday Morning Special Issue. From the #LASTPRINTISSUE to the return to profitability, no other magazine story compares to the story of Newsweek. 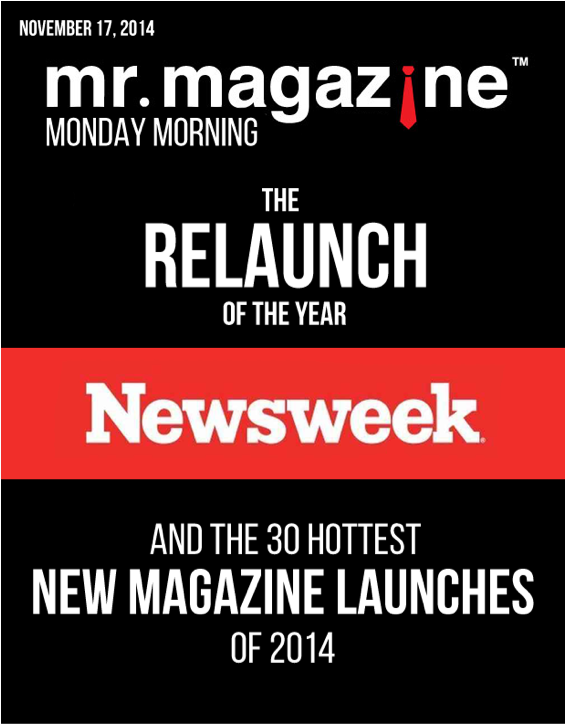 The Mr. Magazine™ Monday Morning newsletter highlights the naming of Newsweek as the Relaunch of the Year 2014 and chronicles all my interviews with the new owners and editors of Newsweek. The issue also includes my blog on why Tina Brown’s excuses for killing Newsweek were all dead-wrong. Click here to read the issue and here to start receiving the Mr. Magazine™ Monday Morning in your in-box every Monday Morning. The number of new magazines being launched each year in the country isn’t growing smaller just because print is “supposedly” declining; quite the contrary. Between October 2013 and the end of September 2014 there was a total of 862 new magazine launches – with 232 of those promising frequency. For a declining medium, print magazines are audaciously responding to that sentiment loudly and clearly with a courageous repudiation to their critics. Defining 862 new launches as “declining” is an understatement, to say the least. In honor of the blood, sweat and tears (and let us not forget ink too) that were poured into every one of those 862 new launches and their predecessors from years past, once a year in conjunction with MIN (Media Industry Newsletter), I present the 30 hottest magazine launches of the year at a breakfast event in New York City. Click here for more information about the event. The question I’m asked most often about the event is my selection process and what criteria do I use to select the 30 hottest launches for any given year? And because being one of the hottest new launches doesn’t guarantee success, I always feel compelled to point that fact out. But being chosen does mean something; it means that the angst and hard work of the magazine’s staff and all the people that are behind that product has been noticed and acknowledged. And in today’s media world the criteria for selection is very stringent. In reaching my decision on what makes a hot magazine, by far the number one criteria point is the audience’s reaction to that magazine. How did the overall marketplace react and how did its intended audience respond to it? And just as important; how did the industry behave toward it? These questions are the first thing I ask upon selection of the hottest 30. For example, when you have a website like Net-A-Porter launching a print magazine and when you read the CEO of Net-A-Porter telling people that her company is not complete without print, that firm declaration is enough for me to consider what that company has done, with the investment of time and resources, something worthy of being a hot launch. It’s simply the case of an entity listening to the pulse of its audience. And that’s what this entire business is all about: audience first. Or a company like Bauer launching a weekly print magazine in this day and age; that alone is an indication the magazine should be included as a hot launch. 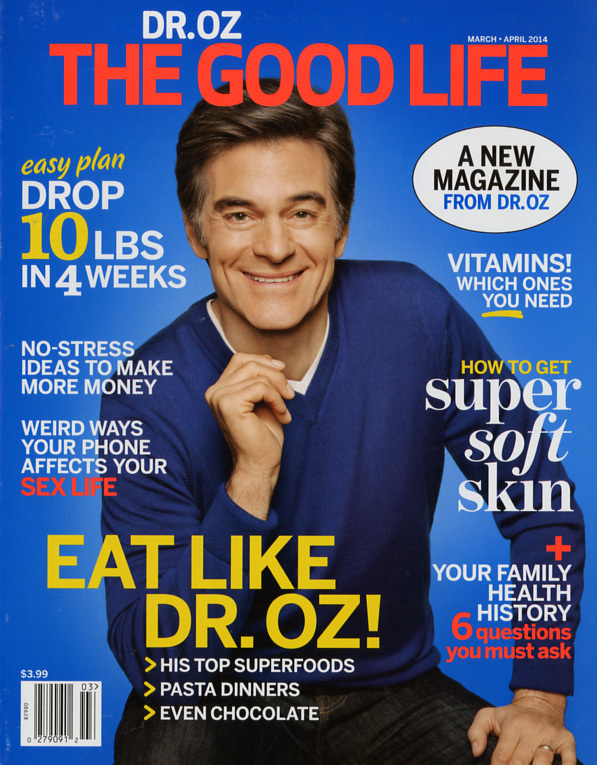 And to go even further, when you have a magazine like Dr. Oz The Good Life that sells out on the newsstands and goes for a second printing, a first since 2000 when O: The Oprah Magazine was introduced, how dare I not name it as a hot launch? Other criteria include the ability to be such a beautiful and rich magazine experience that the product can entrance an audience that is so far-removed from its intended consumer, through unbelievable photography, exquisite paper and undeniable style, it refuses to be ignored, such as Angler’s Journal, where the passion and beauty of fishing comes alive and can ignite an intense desire to flip through its pages and read its awesome content, even if the person doing so has never been fishing in their life. And while there is no scientific formula for the selection process, there is a tangible connection between myself and magazines. I didn’t choose them; they chose me, so the living and breathing passion that I have felt for magazines over the last 30 years has instilled within me an innate ability to meld with ink on paper. We are conjoined. Also, something has to grab my attention to be selected as a hot new launch, based on the comparative analysis of all the other magazines that are out there. To me, every new magazine is a good magazine. Any new launch is a good launch. However, when you’re looking at 200 or 300 new magazines, invariably a magic quality will surface and single out those titles that float to the top like delicious cream. It’s when I begin to skim the top of that cream that I discover those 30 hottest new titles. What happens when you combine a great creative art director with his love and passion for the game of soccer? 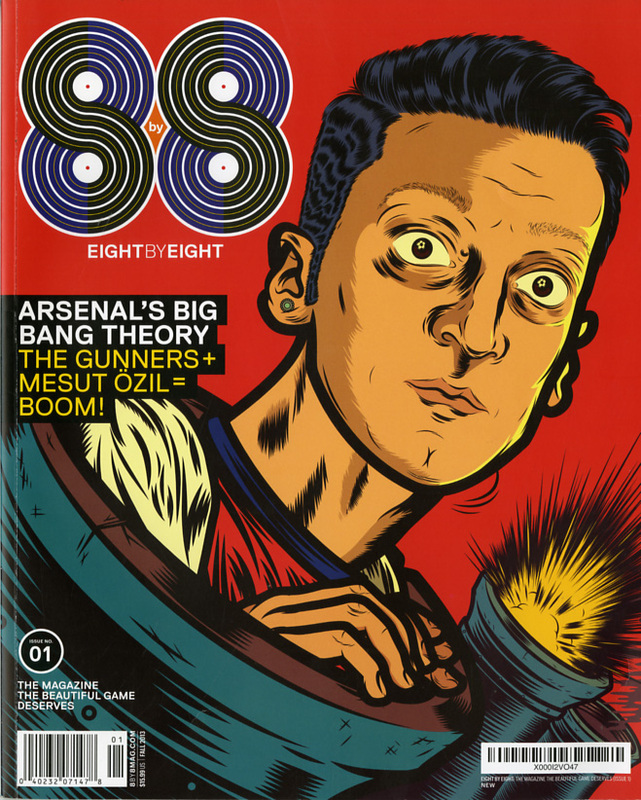 You get a beautiful, artful magazine called 8 by 8, a beautiful magazine that the beautiful game deserves. 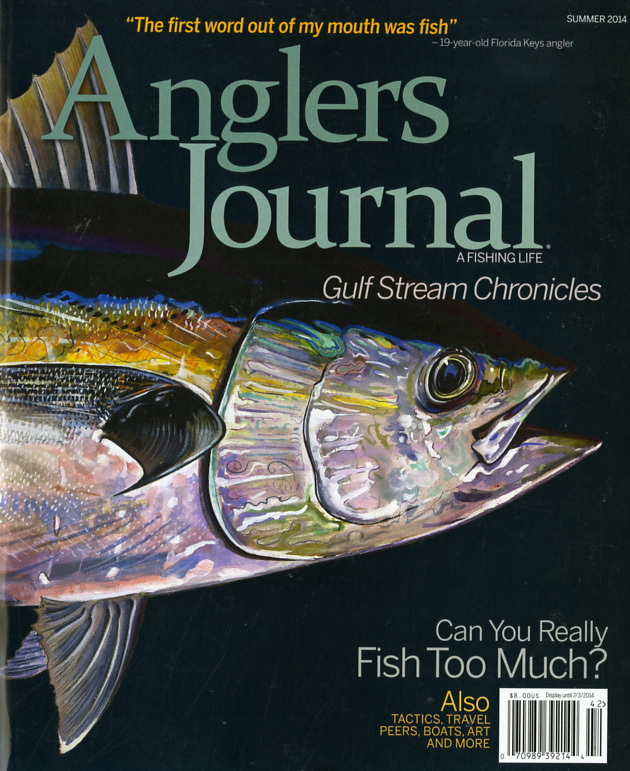 Angler’s Journal brings the fishing life to the pages of a beautiful, oversized, well-done publication. It combines both stories and photography to give the reader (even people who aren’t interested in fishing) a passion for the sport. 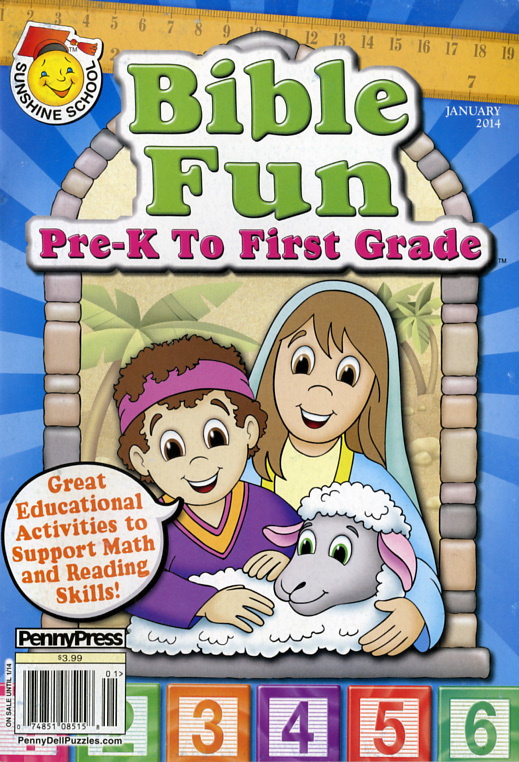 If one thing stands out to me about 2014, it’s that this could easily be described as the year of the child. 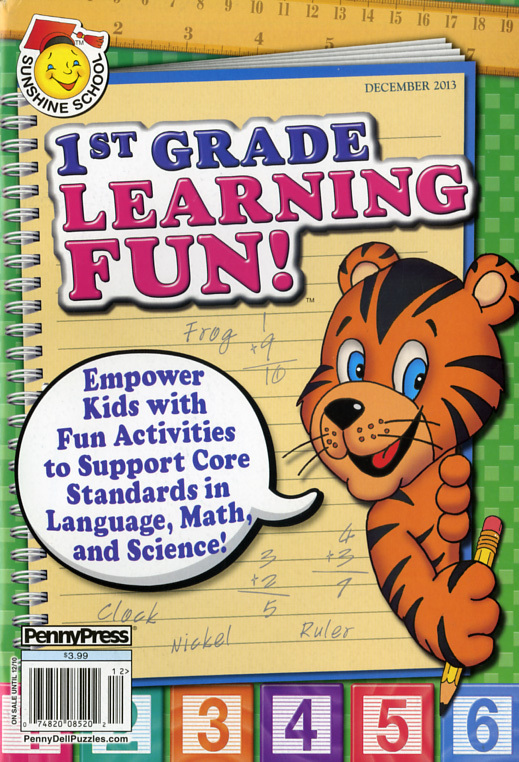 There have been more print magazines born into the marketplace for children than I can ever remember. We are celebrating our children from every angle, from the interactivity of puzzles to fantasy characters and the love between children and animals. Children’s magazines are hot and they happen to be scorching in ink on paper. 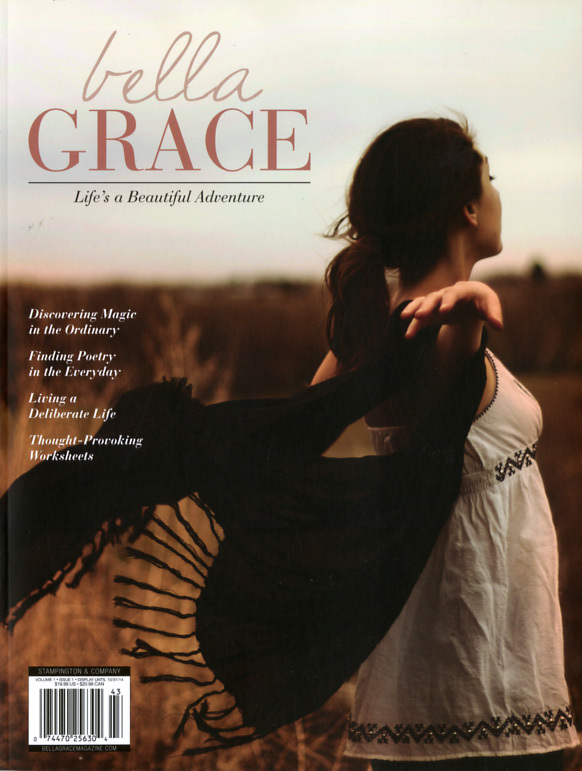 A major departure for Stampington & Company Publications, who normally focus on crafts and the crafting way of life; Bella Grace exemplifies a journal for women that celebrates the beauty of life and life’s adventures. Chance looks at the world through the lens of theater and design. It’s a provocative way of enjoying great design in panoramic display and puts a new spin on art, photography and life without leaving anything to chance. Most think a company would have to be crazy to launch a weekly magazine in this digital age. But when that magazine covers celebrities, icons who the audience (people over 40) of that magazine can relate to, you know it’s a hot launch. 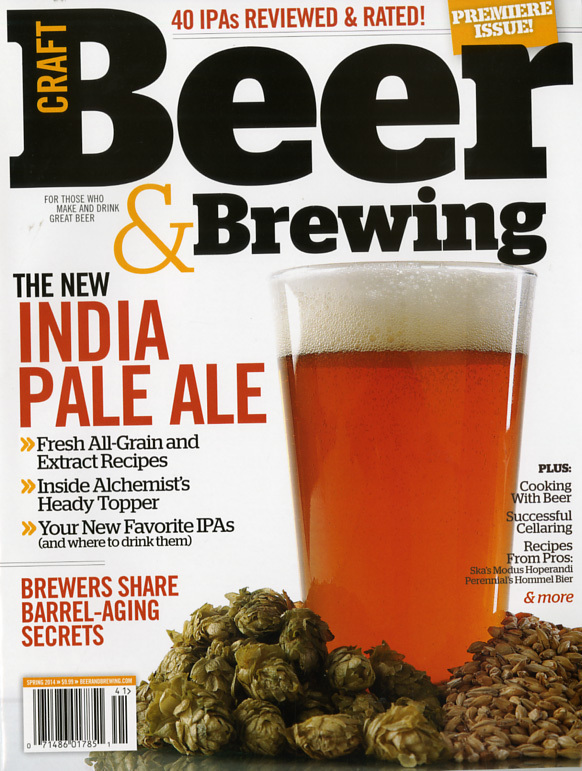 Craft beer is the “in” thing in beer these days and this magazine is a bible for everything you need to know about it and the actual brewing of this kind of libation. This magazine leaves nothing behind, teaching the reader how to brew it, drink it and enjoy the different aspects of craft beer. Anyone willing to defy cultured extension deserves to be named one of the hottest new launches of the year, let alone the magazine is presented in a way that reflects the name, the audience and the industry as a whole. Dinosaur is definitely one of the hottest new launches of the year. Who doesn’t like the good life? It’s the dream of every living, breathing human being on Earth. 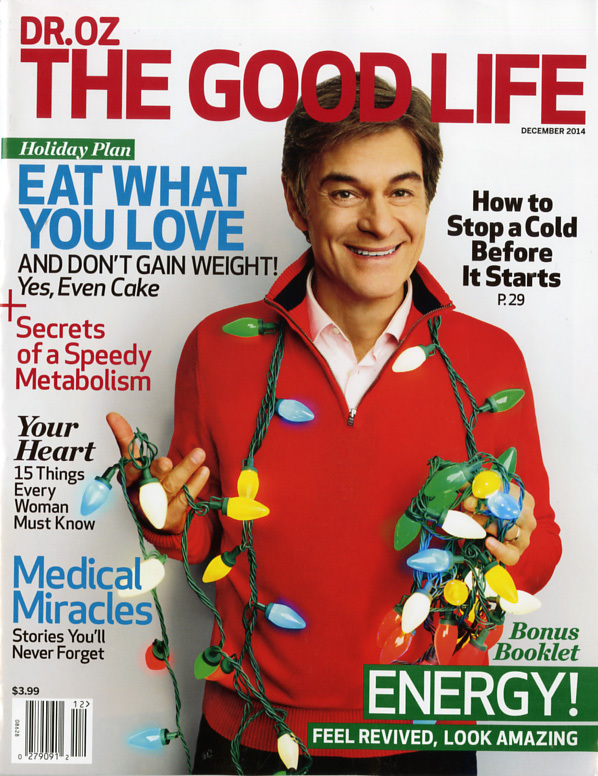 And Dr. Oz now has a magazine to help us all discover that elusive chimera. The magazine covers how to boost one’s health through eating right, relationships and basically how to live life to the fullest. It’s definitely a hot launch. When Benjamin Franklin said in this world nothing can be said to be certain, except death and taxes, he should have added, except that the human race loves to eat and travel. 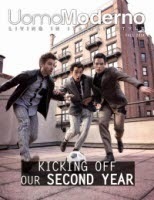 Now we have a magazine that combines two things that people love in a colorful, beautiful way. 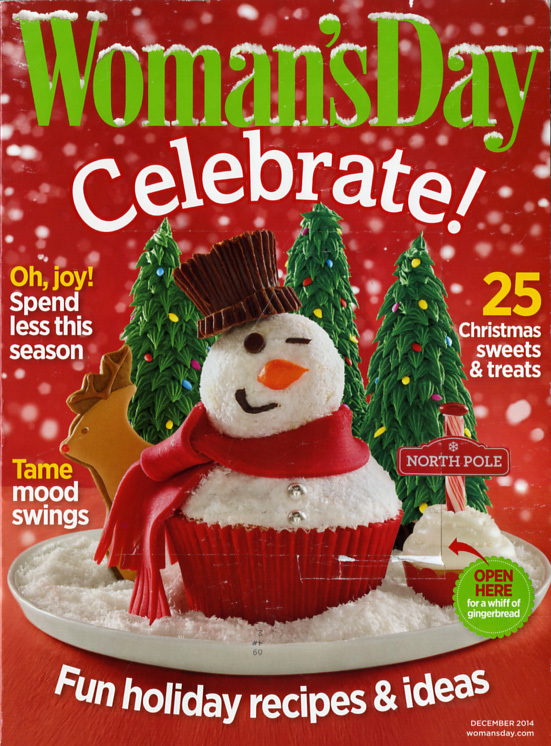 In their continuous attempt to meet each young girl or young woman’s needs in their stable of magazines, Bauer Publishing has filled in the gap between the very young and the very teenaged groups of young women with Girl’s World. This magazine is a stepping stone for the girl who’s preparing to come into her own as a young woman. 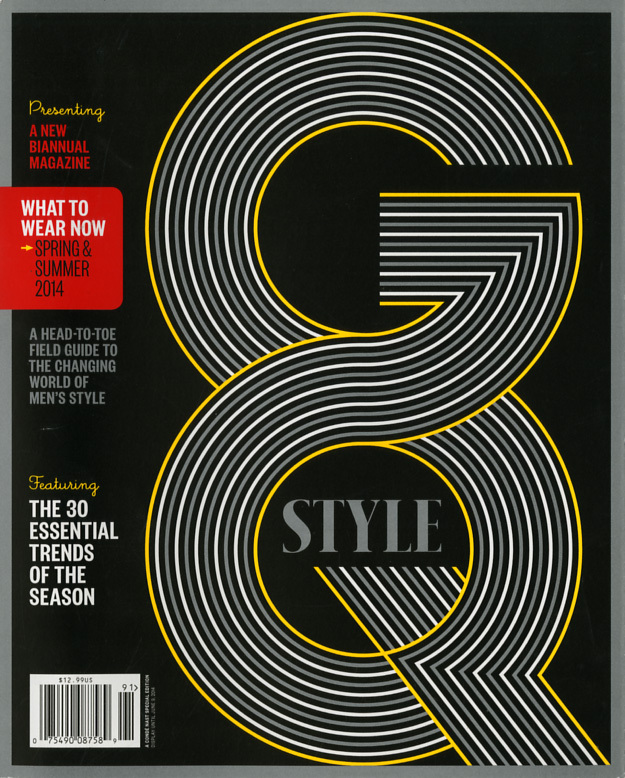 New to the United States, but published in other countries of the world, GQ Style is the perfect addition to the wardrobe of men’s magazines. 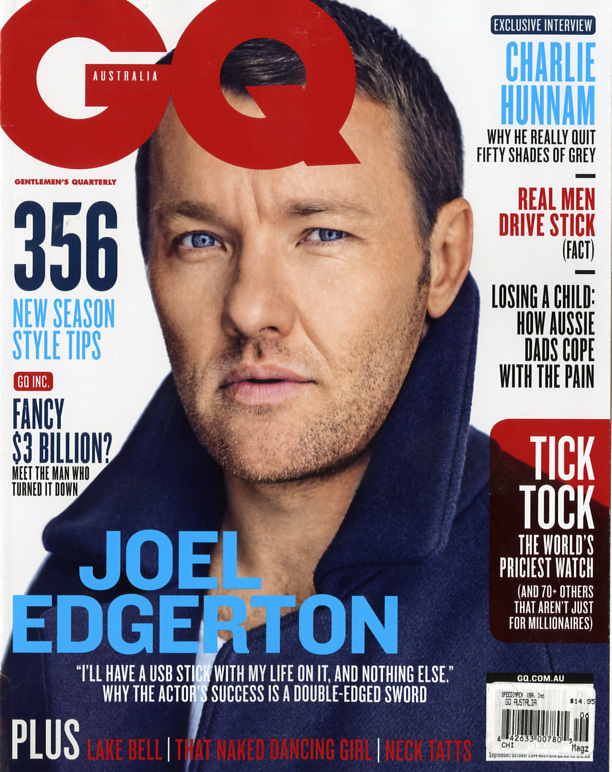 It focuses only on style and fashion and is a beautiful accoutrement to the core GQ staple. Happiness is becoming a science and the “happy” application methodology has found a home between the pages of Live Happy magazine. 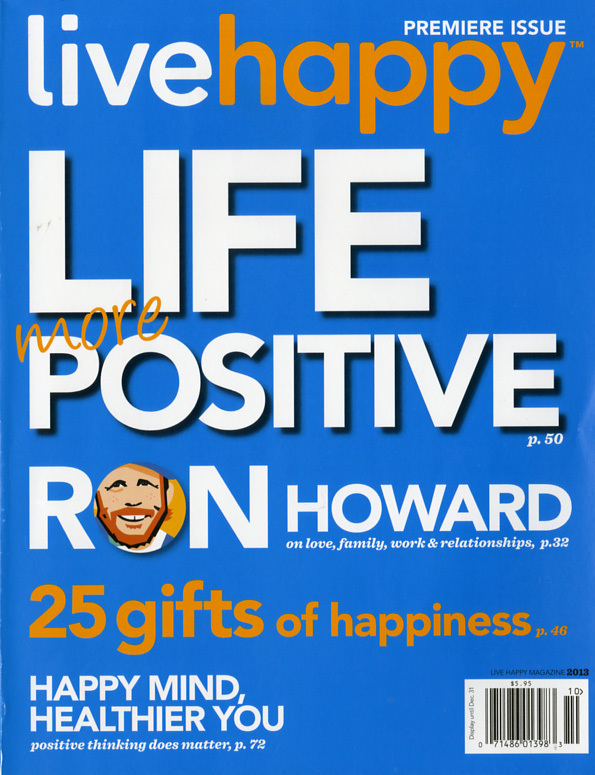 In this magazine, the science of being “happy” is explained and the audience is invited to join the movement. It’s upbeat and uplifting; something needed in our fast-paced, often dizzying society. Modern Pioneer reaches back into the past to help readers survive the present and anticipate the future in a more earthy and natural way. It’s getting back to our roots in the best of ways. Just a great magazine. 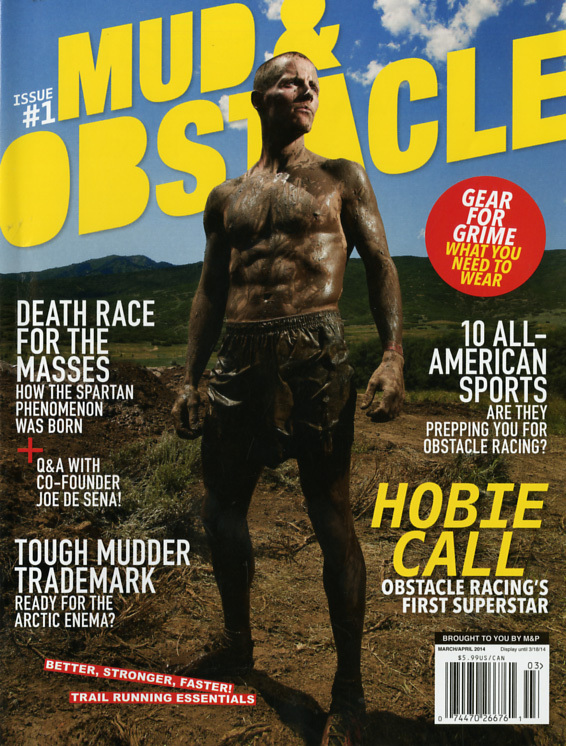 This magazine captures the growing trend and love of elite obstacle racing and mud running and releases it onto the pages of print. 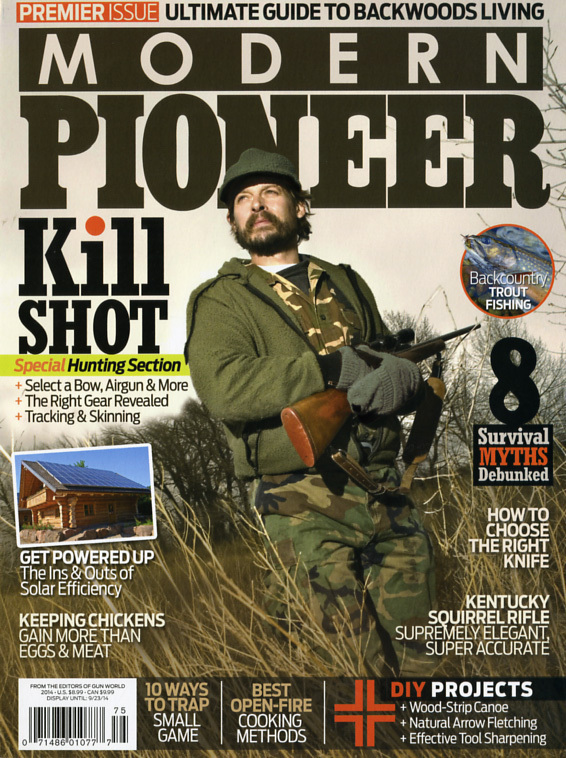 While it may not be a new trend in sports, it is new to the pages of a magazine and has both male and female loyalists. The magazine is bold and forceful, similar to the sport and is a very welcomed addition to the family of print magazines. This magazine was born from personal tragedy in order to help prevent and reverse diseases that are caused by unhealthy eating. It’s a magazine that has an honorable proposal: it’s a national health initiative that proposes the switch from the Standard American Diet (S.A.D.) to the New American Kind and Enlightened Diet (N.A.K.E.D.). The initiative focuses on preventing and reversing chronic degenerative diseases. Captivation of a trend at its best and applying it to food, home, style, travel, beauty and entertaining; Naturally, Danny Seo showcases the lifestyle authority of Danny Seo and brings a new generation into the sustainable lifestyle. It’s an amazing replica of a man’s life’s work and practices what it preaches by using premium recycled paper for its product. Going green is up front and shining in this magazine. 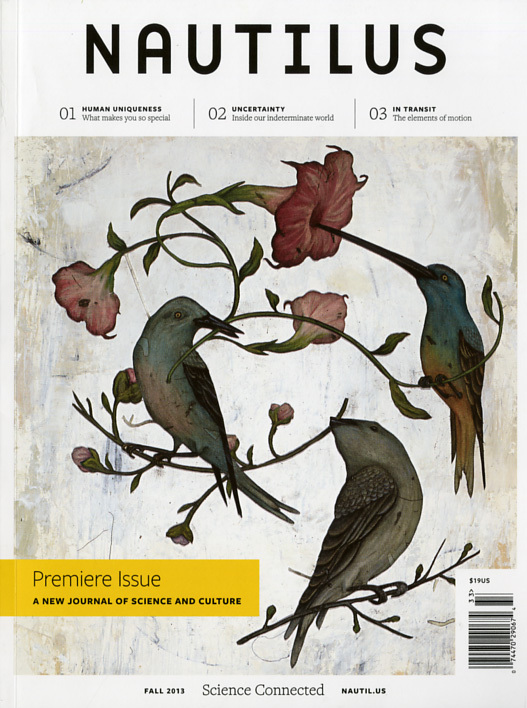 Humanizing science and culture, Nautilus magazine is a rare breed in the genre of true science magazines. Pleasant to read and even more pleasant to look at, each issue combines the sciences, culture and philosophy of a certain topic into a single story told by the world’s leading thinkers and writers. 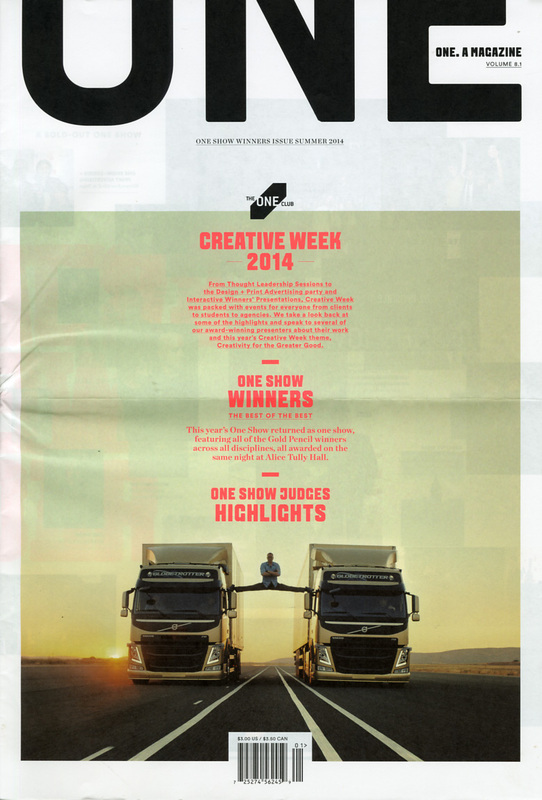 One magazine comes from the One Club and is a magazine for creative people in advertising and design. It was an online product that moved, according to its director of content, to an entirely new entity called print, new, at least for the One Club. This is the post-digital era, as they call it in the magazine. So we have another digital entity discovering the power of print. I can only support this move and revel in it. Another digital entity discovering print; Pando Quarterly offers great content and charges the reader a membership for it. It’s a sustainable concept and one that should benefit this sharp magazine fully. This is another example of intelligent, investigative journalism that another media organization had all but written off. Probably one of the best executed magazines that was born from the womb of a printed newspaper and then a website, Politico came into this world a genius. 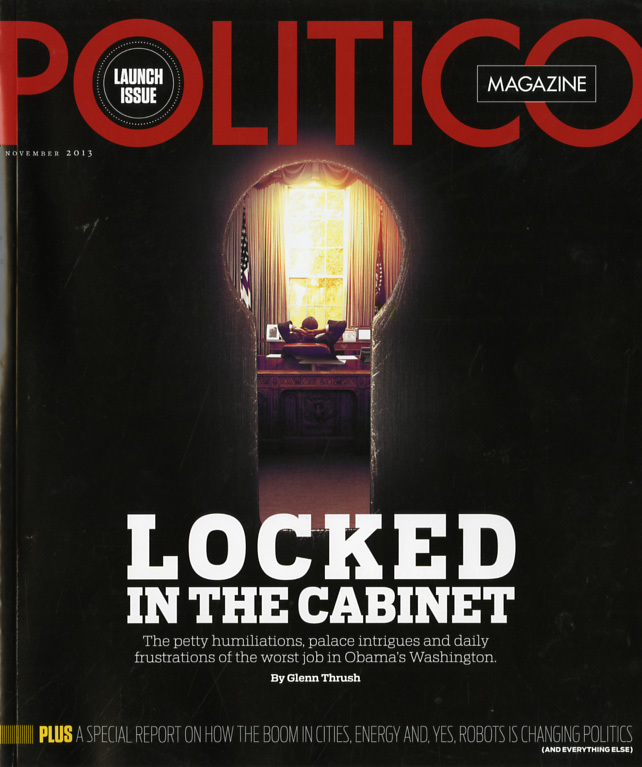 Smart, quick and arrow-sharp, Politico is a force to be reckoned with on the field of political magazines. A successful website and a virtual store have created a powerful print tool that only adds to their overall achievements. 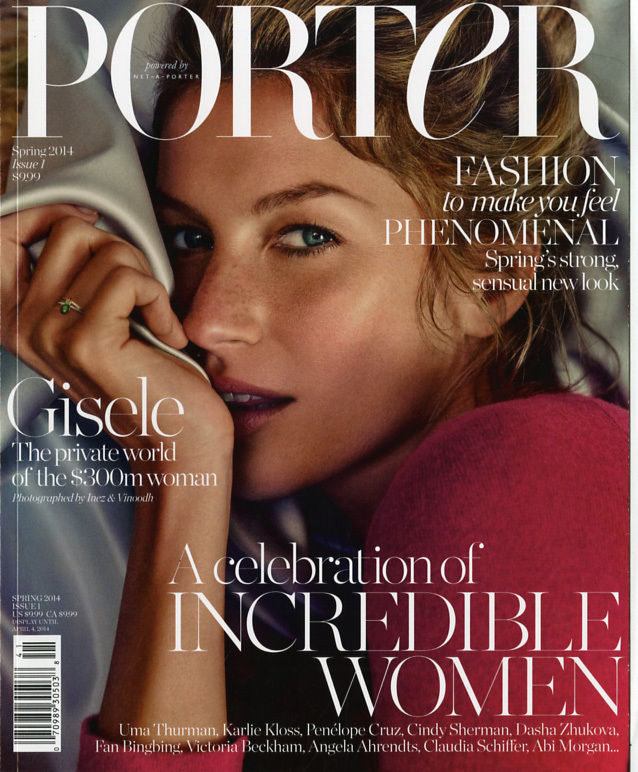 A fashion magazine for the stylish, intelligent woman of now, Porter magazine shows off its luxury retailer traits excellently. To paraphrase its CEO, now you can say we are a multi-media company. 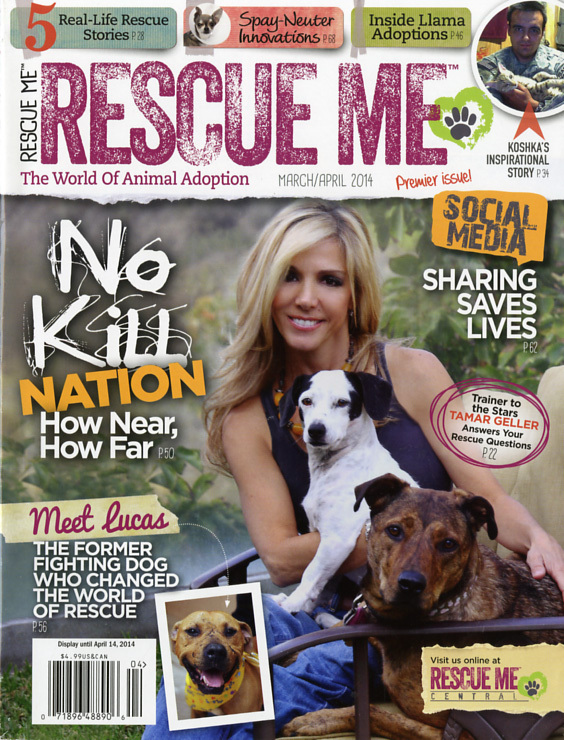 We’ve had a few magazines that focused on the adoption of children; Rescue Me brings the adoption of animals to the forefront of the reader’s mind. 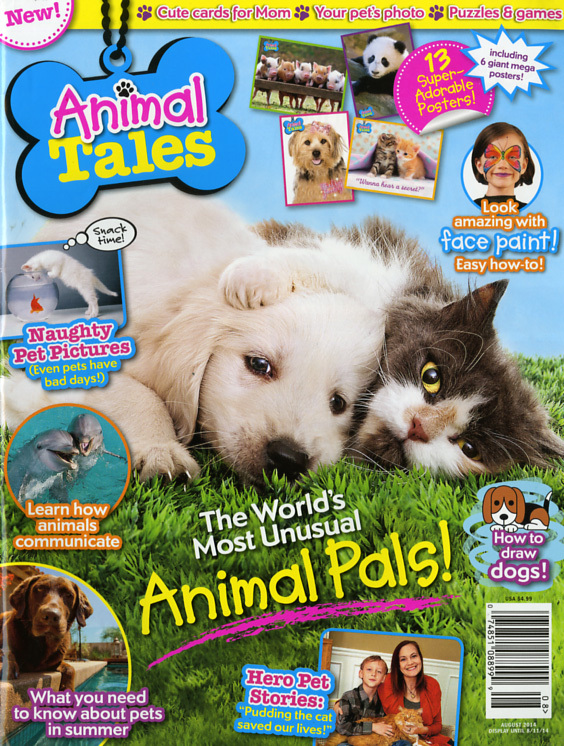 This magazine has a mission, something more than just showcasing the beauty of pets. It expounds on the need of animals and how the people-to-pet relationship is of mutual benefit to both. 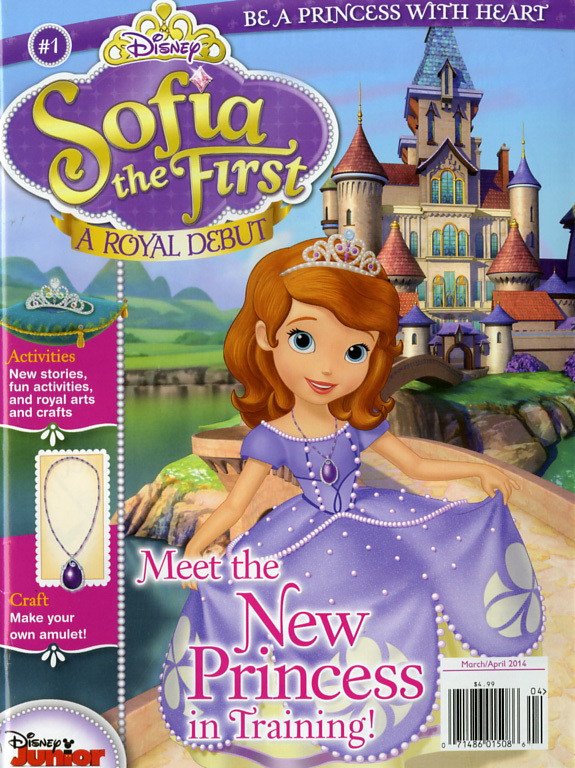 A magical fairy tale that teaches children to be bold, curious and kind; Sofia the First embodies the interactivity of first screen, second screen and even third. From the television series to the online games and now to the print magazine, it’s definitely the year of the child. 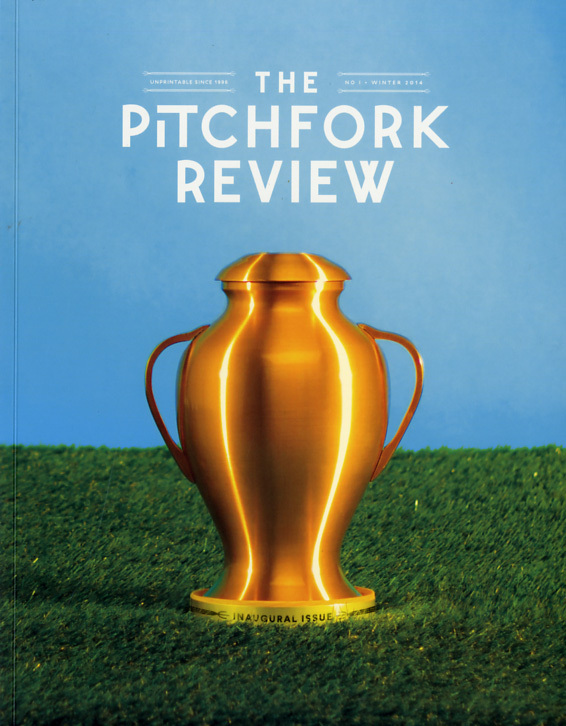 After more than 17 years online, Pitchfork has come into the print world with a vengeance. It combines long-form feature stories, photography, illustrations and other ephemera with selected recent pieces from the website. Another digital entity that has recognized the power of print. Kids don’t read print? I beg to differ. 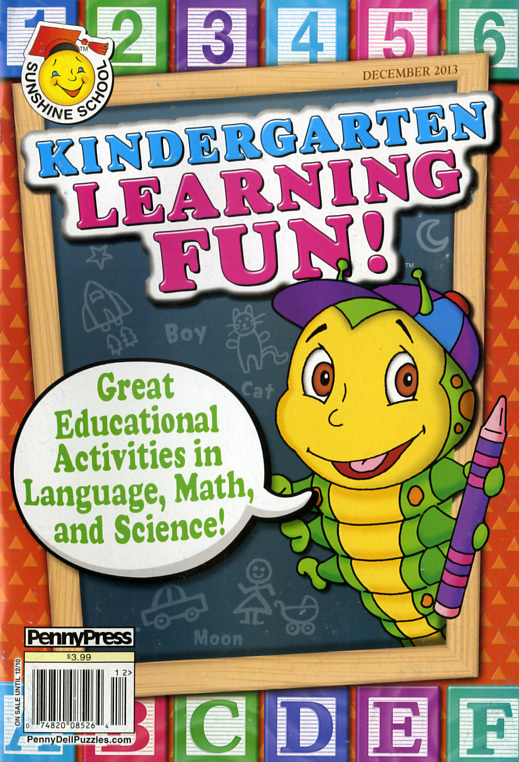 This wonderful series of books is interaction at its best. 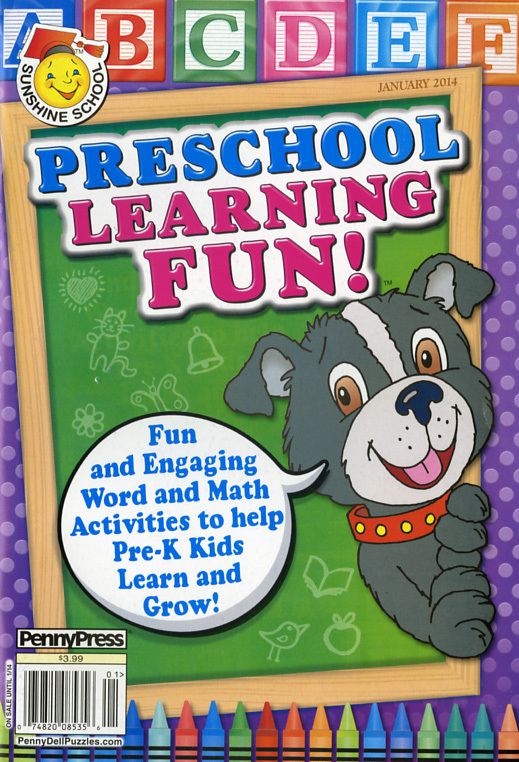 These four titles launched by Penny Press are a prime example of what print does and can do to entertain our children with something that is not only tactile and can be shared between the laps of parent, grandparent and child, but also teaches in a most interactive way. Kudos to Penny Press. This is innovation in print at its best. A brand new weekly magazine for women in New York that overcomes distribution troubles by just handing the magazine out on the streets of New York. It’s a unique magazine that had a unique way of introducing itself and it is a compliment to all the other magazines it was born from, such as Elle, Cosmopolitan and Marie Claire. It’s an utterly new way of doing business and deserves its spot among the 30 hottest new launches. How can a men’s magazine add anything unique and different to an already crowded market? Well, you put an Italian twist on it, of course. Uomo Moderno is chic and sophisticated and very Italian. From the clothes to the exquisite content, Uomo Moderno is Italian living at its best. Vaping is the hottest trend right now and vapor cigarettes are the hottest thing on the market. 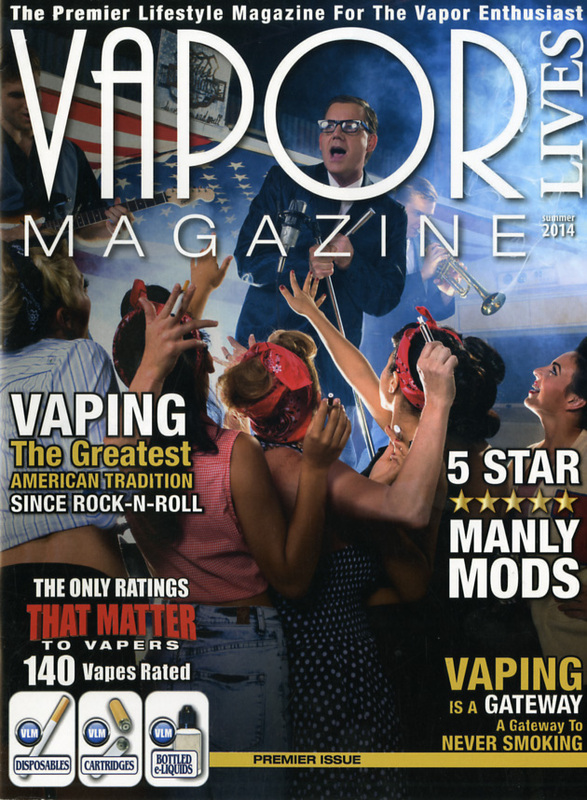 Here comes Vapor Lives, capitalizing on that trend and publishing not one, but two titles; one for the industry and one for the vaping audience. The name conjures up images that are comforting and whimsical. 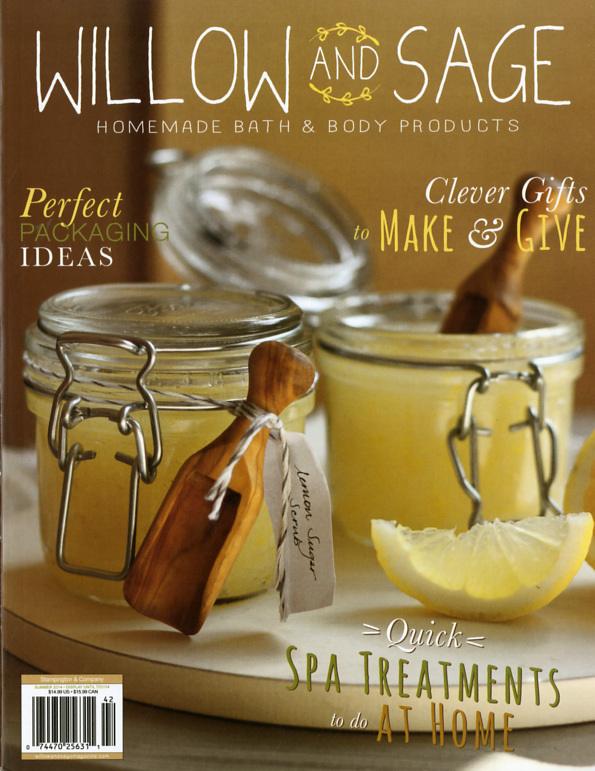 It’s filled with great recipes for creating homemade bath and body items that soothe and replenish the soul. It’s a hot launch and a wonderful idea and another Stampington & Company product that may deviate from their “crafty” origins, but definitely enhances their repertoire. Newsweek has to be the re-launch of the year, no question. Its print death was widely exaggerated by one of the most celebrated editors of our time, but like the phoenix it rose from the ashes and its dismal fate to become better than ever. 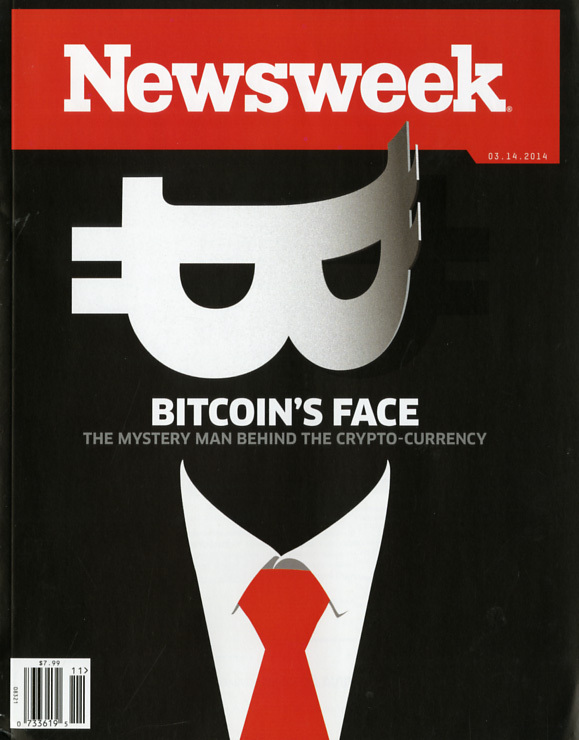 With a different publishing and business model, Newsweek now sets the standard of what a weekly should be. It looks and reads like a monthly, but is published on a weekly basis. Just an excellent and timely re-launch. Join the celebration on Dec. 5 when THE Hottest Magazine Launch from the aforementioned list will be announced. Click here for more information. 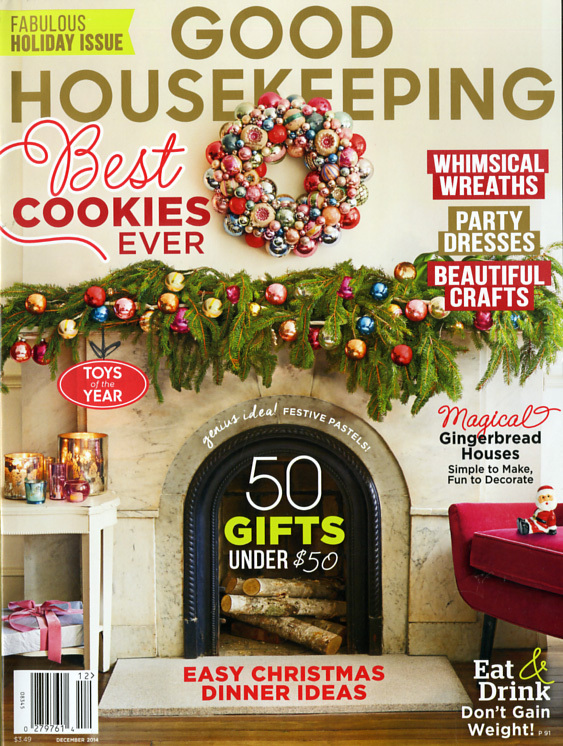 You are currently browsing the Mr. Magazine blog archives for November, 2014.